Here is a new set of illustrations that coordinates with the Sweet Succulents Design Set. It’s a set of alphabet letters that are embellished with succulents! 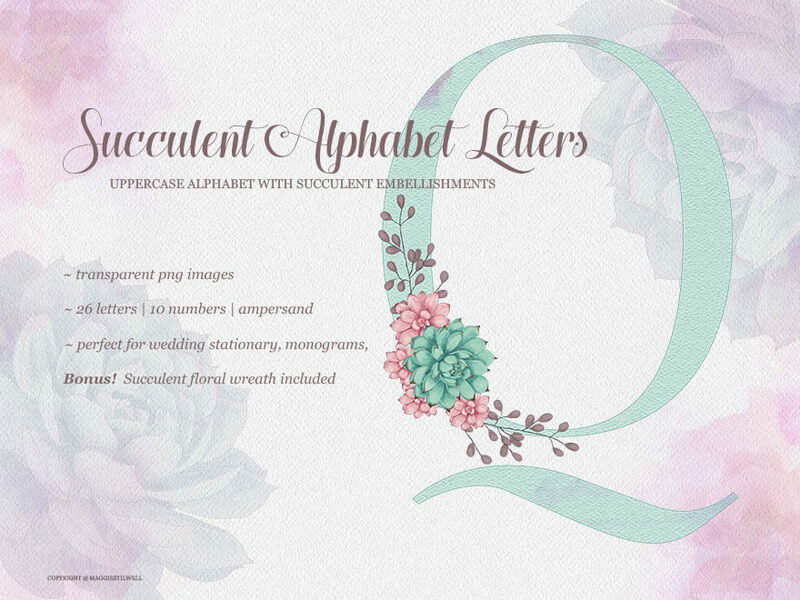 This set is perfect for monograms, wedding invitations, logos, blogs, etc.